What if you could help transform animal sheltering forever? You can! The value placed on the lives of companion animals in our society has never been higher than it is today. However, most animal shelters, whether funded by private donations, tax dollars, or both, still don’t employ veterinarians to design and oversee policies relating to the medical and behavioral well-being of the animals in their care. Many do not even have a veterinarian available to provide basic veterinary treatment or preventive medicine such as vaccination. This situation is only made worse by the critical shortage of veterinarians with expertise in the specialized needs of animals in shelters. This leads to real suffering for many animals, as well as a needless loss of life, incidence of illness, and lost adoption opportunities. 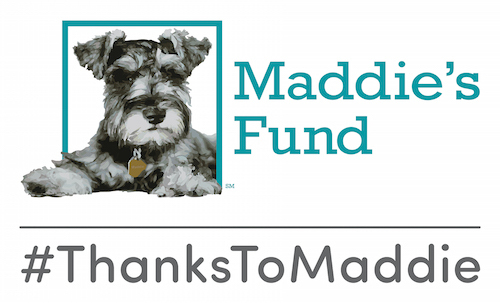 At the Maddie’s Shelter Medicine Program at the University of Florida, we’re filling that need by training veterinary students and practitioners in the problems of homeless animals and animal shelters, and helping them bring veterinary care to pets in shelters. You can help us! Give today!